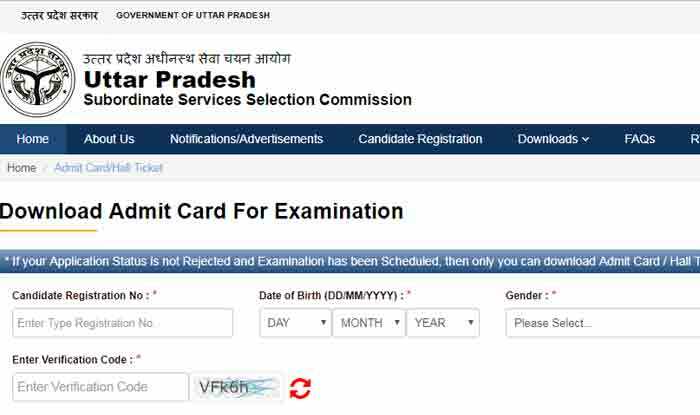 The UPSSSC Tubewell Operator Admit Card 2019 will be released very shortly now…This is really great news for those candidates who had applied online against the massive Posts of Nalkoop Chalak by its last date. The Uttar Pradesh Subordinate Service Selection Commission will conduct the written examination very soon on the various venues across the concerned state. There will not any personal interview and final merit list will be prepared on the basis of candidates performance in the screening test only. The final appointment on above-shared vacancies will be under Chief Engineer (Mechanical), Irrigation & Water Resources Department, Lucknow. Uttar Pradesh Subordinate Service Selection Commission will conduct the UPSSSC Tubewell Operator Exam on 12th January 2019 against the Advt. Number- 15 (3) 2016. Aspirants can download the admit card from the official website of the department and they can also check it from the given below link. The multiple objective type question paper will have appeared in the written examination.